Take the Kids to the All Age Playgroup at Mama’s Hip June 2 | Joe Hayden Real Estate Team - Your Louisville Real Estate Experts! Play dates are fun for the kids and it’s healthy for them to socialize with their peers, but hosting a playgroup can be exhausting. Let Mama’s Hip do it instead. 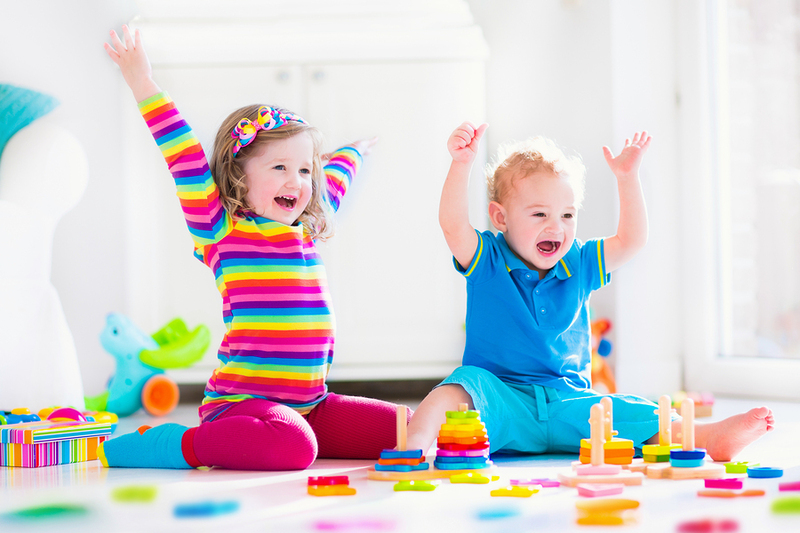 Take the kids to an all ages playgroup and let them have fun so you can do some socializing, too. Mama’s Hip, at 1559 Bardstown Road, is made for moms and all parents. It's a store, but it's more than a regular retail space. Mama's Hip is a place to meet parents, to discuss parenting and to bring the kids so they can have a little fun. It's in the heart of the trendy Highlands community, and it's a great example of the range of stuff you can find in the neighborhood. Mama's Hip is a pretty little house with gleaming hardwood floors, a lot like many of the homes and businesses you'll find in the Highlands. The All Ages playgroup lasts from noon to 2 pm, and all kids and their parents are welcome to drop in any time during the event. Mama’s Hip is filled with fun stuff to do and see and explore, and you know how kids love stuff like that. Parents can browse the store and spend time talking with each other while the kids are engaged in all their activities. And when you’re done at the playgroup, you have the rest of the afternoon to learn more about the Highlands. The Highlands is a favorite community in Louisville. It's famous for its trendy restaurants, one-of-a-kind stores, historic homes and amazing subdivisions. Neighborhoods like Cherokee Triangle, Deer Park and Bonnycastle help make up the Highlands. Lots of people know about Bardstown Road, where you can find all the shopping and eating you might crave, but the Highlands is made up of much more. Homes in the Highlands are highly coveted, and it's easy to see why. There's a variety of historic homes here spanning decades of architectural trends, along with modern homes and condos filled with new features. Even the historic homes have been renovated and updated over the years so they feel and look modern inside. People come to the Highlands to live in big mansions on large green lawns, to nestle into cozy bungalows with amazing little details, to find that perfect family home that's inside the well-loved Highlands school district. What will you find when you visit the Highlands?